Website design Little Rock Arkansas AR | Shields has been a long time VISIONEFX website design client for many years. Our design team create a rich online look and branded identity looks as current as it did seven years ago. Let it be said good design stands the test of time. The website was developed Classic ASP for Windows hosting server; features rich textures, graphics and creative branding. 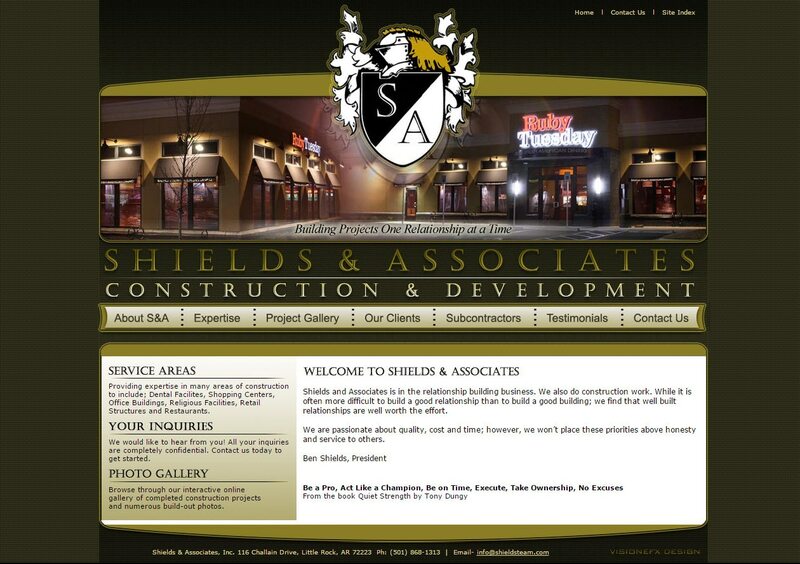 Shields and Associates offices are located in Little Rock, AR. When searching Website design Little Rock Arkansas look no further than the web design experts at VISIONEFX.